I moved to Chattanooga, Tennessee, in July of last year. I’d visited here several times when I was younger, but that had been at least 10 years. Fortunately I had a week between moving in and starting my job to get my bearings. It didn’t take long after I started exploring to find out there’s so much more to this city than I remembered. Chattanooga may not be a huge city, like New York or Los Angeles or Nashville, but it’s big enough and has everything a big city has to offer and more, and everything that makes me happy. And it’s close enough to Atlanta and Nashville that I can get a big-city experience when I want it. From the food scene to the outdoors and everything in between, Chattanooga can satisfy pretty much any craving I could possibly have. 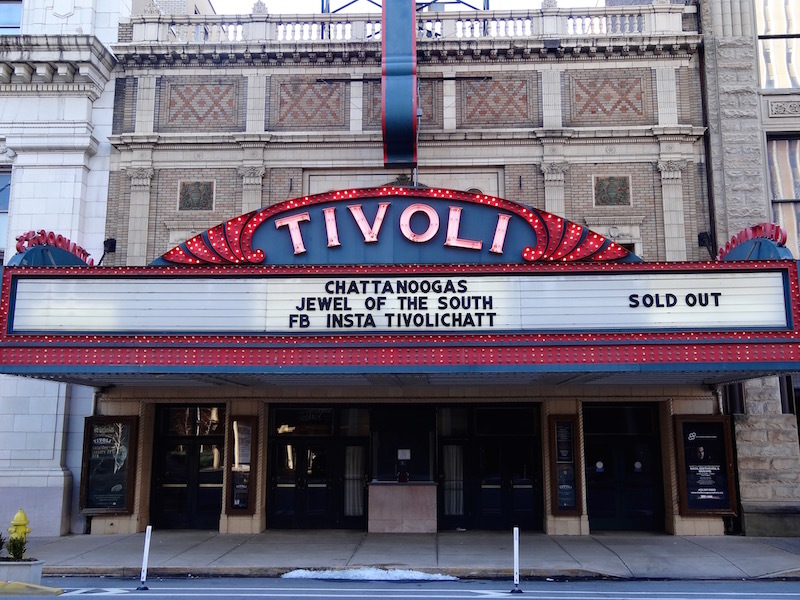 They say the Tivoli Theater is Chattanooga’s Jewel of the South, but I think Chattanooga itself is the Jewel of the South. So today, for all y’all explorers and travelers out there, I give y’all the Chattanooga Bucket List + a FREE printable checklist! These are 39 of the top things anyone who visits or lives in Chattanooga needs to see, do, taste and experience. Even if you’re only here for 36 hours, check a few of these off while you’re here. Then plan a return visit and check off a few more. I’ve lived here for almost seven months and I still have so much more to explore. This summer, bring on all the outdoorsy adventures and festivals. And CFC matches. Are y’all with me? Download and print the bucket list (it’s a.pdf) and check off everything you see and do. I’ll be right there with y’all. Don’t see something you’d think would be on the list? 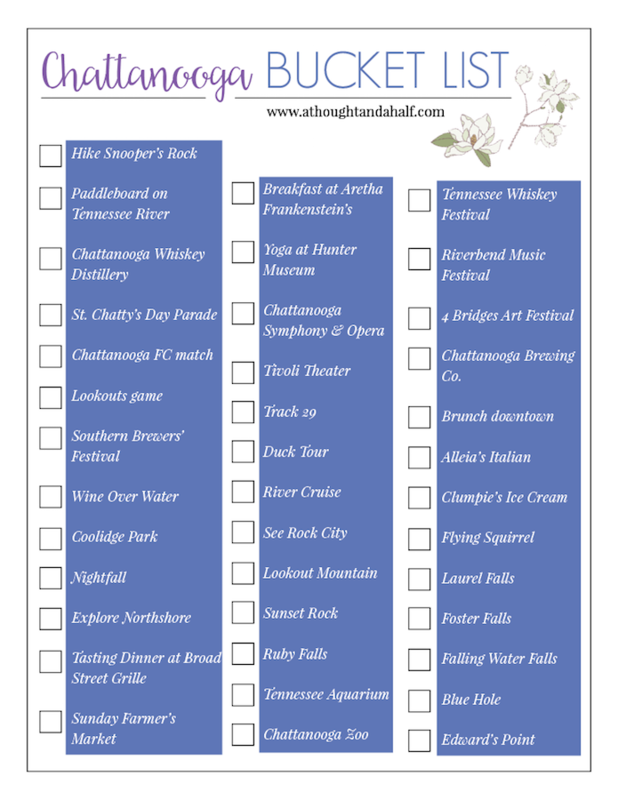 Have no fear… there are more editions of the Chattanooga Bucket List coming. Feel free to share your adventures with me, too! I want to hear about them and see them! Leave a comment below, tweet at me or tag me on Instagram! I’m happy and proud to call myself a Chattanoogan, and it’s my hope that anyone who visits sees the beauty of this city like I do. I think of it as the Jewel of the South for a reason. What’s YOUR favorite thing to explore in a new city? What’s the first thing you always check out? For this post, I’m taking a nod from the New York Times’ “36 Hours” travel series. 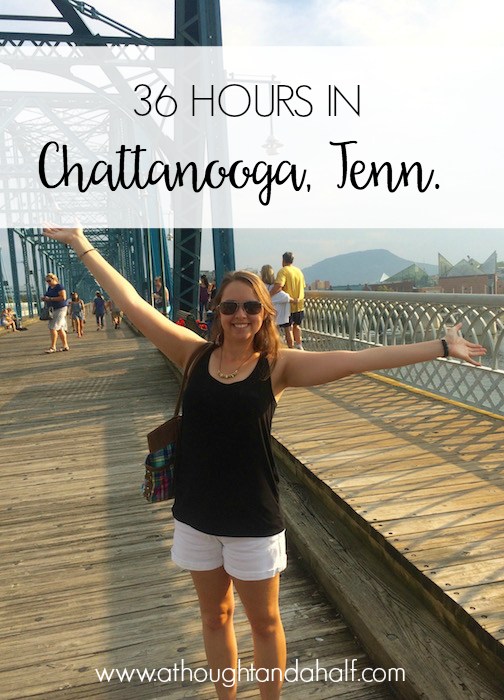 I like their account of 36 hours in Chattanooga, but there’s so much more to this city than what that article shared. Even though I’ve only lived in Chattanooga for three and a half months, I’ve completely fallen in love with this city. I’m still a “new Noogan” by many people’s standards, but there’s no timeline or rule that says, “you have to live here for x amount of time before you’re allowed to say you love it here.” That’d be pretty lame, anyway.